Viruses like Ebola are notoriously sloppy in replicating, meaning the virus entering one person may be genetically different from the virus entering the next. The current Ebola virus’s hyper-evolution is unprecedented; there has been more human-to-human transmission in the past four months than most likely occurred in the last 500 to 1,000 years. Each new infection represents trillions of throws of the genetic dice. In 2012, a team of Canadian researchers proved that Ebola Zaire, the same virus that is causing the West Africa outbreak, could be transmitted by the respiratory route from pigs to monkeys, both of whose lungs are very similar to those of humans. Richard Preston’s 1994 best seller “The Hot Zone” chronicled a 1989 outbreak of a different strain, Ebola Reston virus, among monkeys at a quarantine station near Washington. The virus was transmitted through breathing, and the outbreak ended only when all the monkeys were euthanized. We must consider that such transmissions could happen between humans, if the virus mutates. There is a ‘nightmare’ chance that the Ebola virus could become airborne if the epidemic is not brought under control fast enough, the chief of the UN’s Ebola mission has warned. Anthony Banbury, the Secretary General’s Special Representative, said that aid workers are racing against time to bring the epidemic under control, in case the Ebola virus mutates and becomes even harder to deal with. 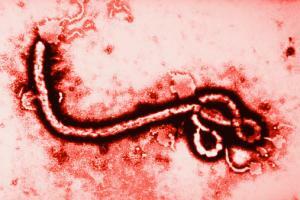 If they’re right, the government’s current approach towards Ebola is all wrong.